Today in Tucson we witnessed a partial solar eclipse. We weren't in the path of the total eclipse - although our lucky friends were - but five minutes to the time we'd hit max coverage, I decided to geek out and make a pinhole viewer. An old white box, a piece of aluminum foil, and a thumbtack did the trick. 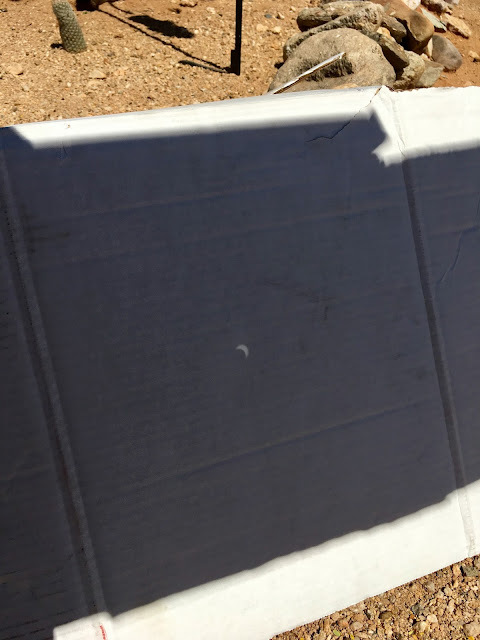 As you can see from the photo below, with the sun at our back, we were able to see the shadow of the moon partially covering the sun. 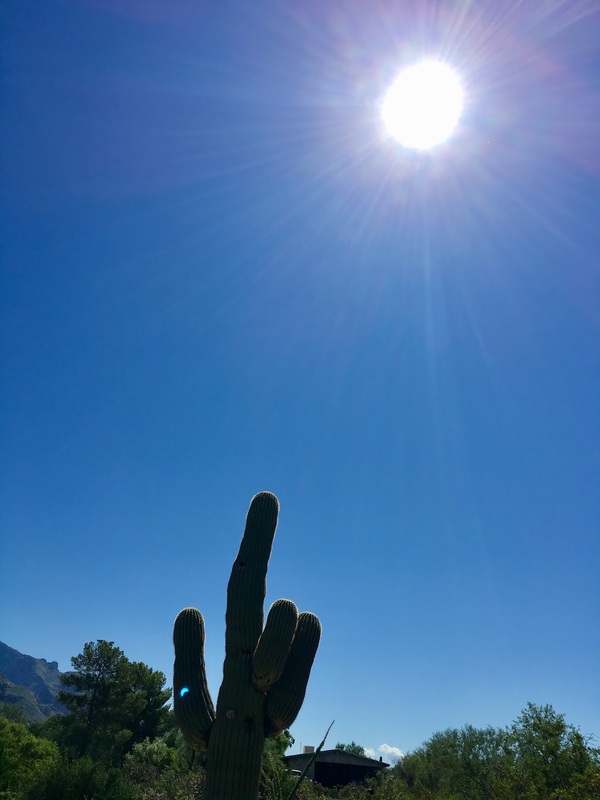 In the photo above you can see the small crescent on the arm of the cactus, as captured by the camera, although I don't know how that works. We didn't have a viewing party, no news crews showed up, and none of our neighbors were even visible. The excitement of those in the path of totality didn't seem to make it to our neck of the woods. The next total eclipse for North America will come on April 8, 2024.